Apollo Justice: Ace Attorney returns gamers to this popular Japanese franchise on the Nintendo DS with the developers utilizing the capabilities of this unique gaming console via touch screen and microphone. 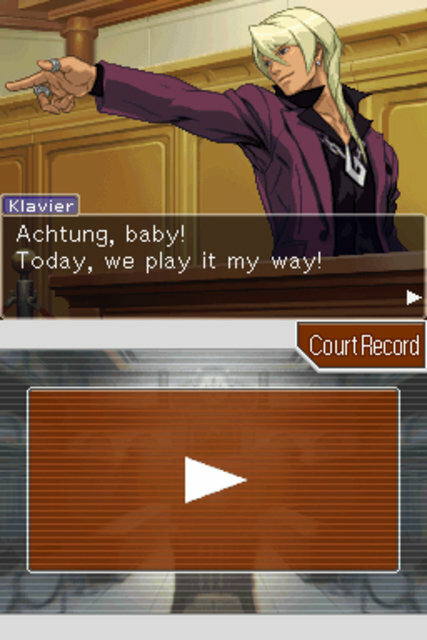 In Apollo Justice: Ace Attorney, gamers take control of Apollo Justice who is a suave attorney at law and happens to be reminiscent of the previous hero, Phoenix Wright. Although our hero has a slick look, he also lack the confidence of Phoenix but has a few aces up his sleeves such as his spunky sidekick who will assist you throughout the game. For fans of the previous series, a variety of characters make a welcomed return to this latest incarnation of the series and provides a good link between all the games. 1st fully new title in the series to be developed specifically for the Nintendo DS. In its essence, Apollo Justice: Ace Attorney is an adventure puzzle game where the player must solve four cases and even defend a client of murder. The gameplay is similar to the previous games where the player must investigate crime scenes and collect evidence. The best part of being out of the court is interacting with witnesses as you question them over the evidence which is quite clever. 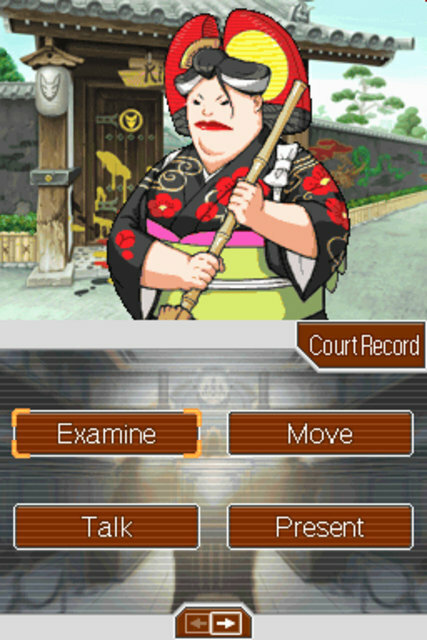 You even get to appear in court as you cross-examine witnesses and even present evidence which makes this game quite original in this aspect. Fortunately Apollo has a magic bracelet that gives him the power to know if someone is lying. 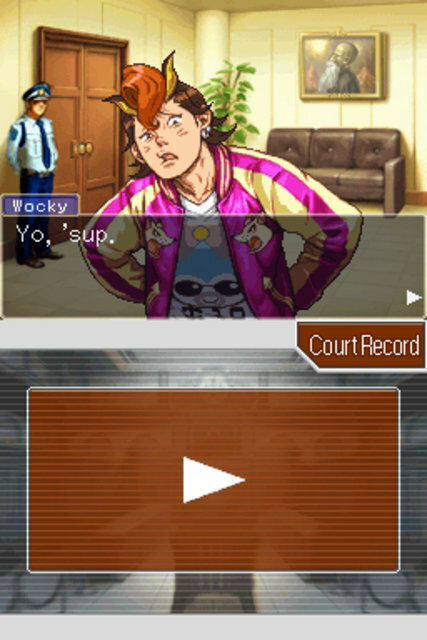 The microphone is also used in this instance where you can yell "Objection" and "Hold it!" as you try to call your witnesses bluff. Classic stuff! What sets this game apart from its predecessor is the inclusion of the touch screen to the gaming mechanics which allows you to rotate evidence in a 3D view, use the stylus to dust for finger prints and even make plaster casts of perpetrators footprints. This gives the game a more interactive experience that at the end of the day, gives you a sense of ownership to the title and is quite fun. 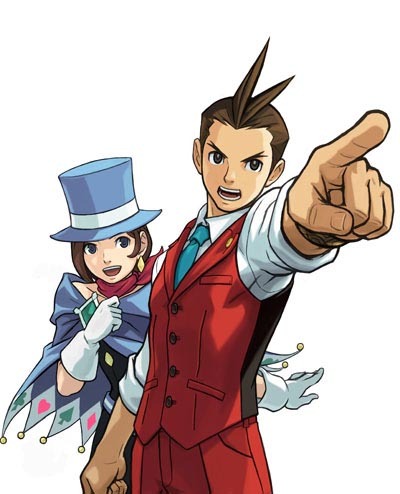 Graphically, Apollo Justice: Ace Attorney is a visual treat on the Nintendo DS that has a anime feel to its animation. The environments that you visit are also quite detailed and the characters are well animated. The title even contains some great cutscenes which helps draw you into this exciting world of law and order. Musically, the title is quite catchy and feels like it has been taken from a Saturday morning cartoon that changes throughout the game and adds some nice background ambience to the game. Match that with a variety of sound effects and you have everything you need for an enjoyable gaming experience. 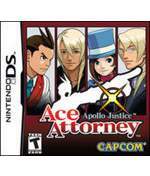 In conclusion, fans of the previous series will definitely enjoy this title on the Nintendo DS, however for those unaware of this gaming universe, most gamers will definitely get a kick out of playing Apollo Justice as he attempts to solve crimes and gather evidence. It's unique, it's original and best of all, it's entertaining.